An elegant but down-to-earth couple celebrate with family and friends against the background splendor of Stone Barns and the delicious Michelin starred restaurant Blue Hill. Fashion and fun come together for some serious eye candy at this New York City wedding at Gotham Hall, where the opulence, laughter and crazy dancing ruled late into the night. College sweethearts unite with family and friends near their alma mater on a private island for a gorgeous outdoor ceremony and cocktail hour, followed by a reception under a magical Sperry Tent. A hip, non-traditional gathering at Brooklyn Winery, full of special touches, and delicious food and drink, combined with a deeply personal and intimate group of friends and family. 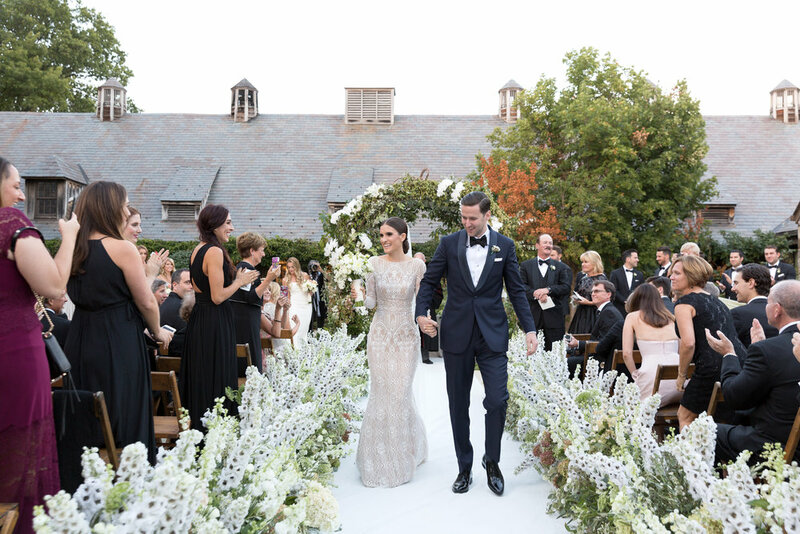 A blend of elegance and street style set against the Vineyards at Bedell Cellers defined this wedding, with a couple full of life, and a crowd dedicated to dancing into the late night. Set against the backdrop of the Brooklyn Bridge, this wedding was full of smiles and laughter, and some of the best toasts we’ve ever witnessed, making our hearts swoon for this fun couple.